J. “Tripp” Mitchell’s, AKA: "The Professional Private Investigator", career spans over many years of experience in public law enforcement, security consulting and private investigation. His early start in loss prevention and asset protection for two major Georgia retailers set the tone for his long term investigative career. After graduating from the police academy, he began his career as a police officer where he served as a patrol officer, field training officer and as a detective. Mr. Mitchell is an experienced licensed private detective in the State of Georgia with over fifteen years experience. He is the CEO of a state licensed security management firm and has literally trained and mentored hundreds of prospective investigators over his career. In 1997 Mr. Mitchell became a criminal investigator with the State Court Prosecutor’s Office and was eventually promoted to Chief Investigator. In 2003, Governor Sonny Purdue appointed Mr. Mitchell to serve on the Georgia State Board of Private Detective and Security Agencies. As the youngest member ever to be appointed to the board Mr. Mitchell served as Chairman for four years and presently works on the continuing education and training committees. Mr. Mitchell is past president of the Georgia association of Professional Private Investigators, an active member of the Georgia Association of Chief’s of Police, and member of the American Society for Industrial Security (ASIS International) and the Association of Threat Assessment Professionals (ATAP). He received his degree in Criminal Justice from Mercer University and a Master’s degree in Public Administration from Columbus State University. He is also a graduate of the Georgia Law Enforcement Command College. In addition, he has received extensive training in investigative coursework such as homicide, psychological profiling, stalking and criminal investigation, security management, threat assessment and private investigation training. 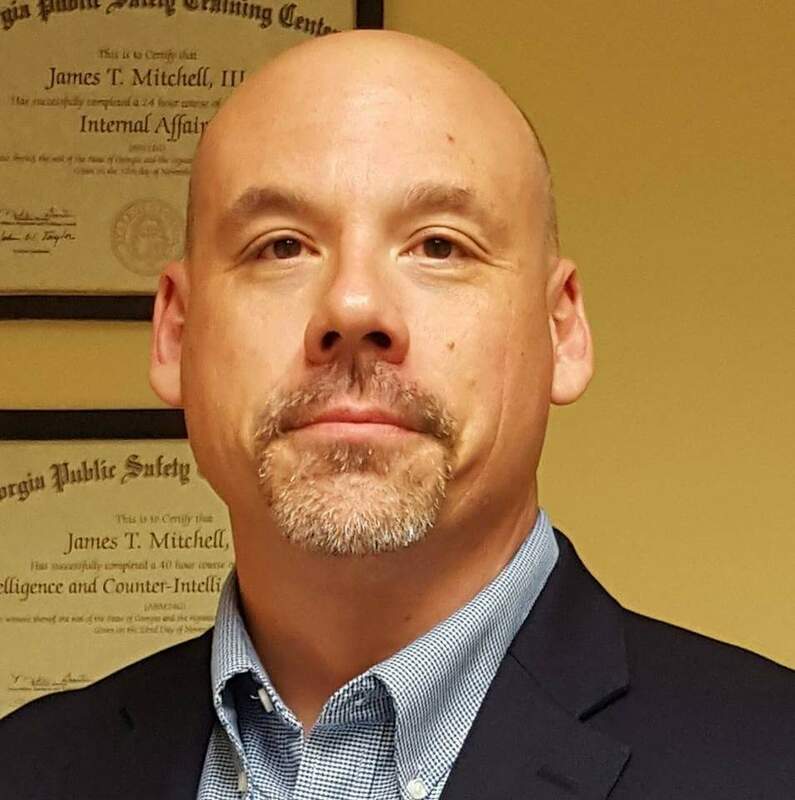 Mr. Mitchell is certified as an instructor by both the Georgia Peace Officers Standards and Training Council (POST) and the Georgia State Board of Private Detective and Security Agencies. Mr. Mitchell is a frequent guest instructor at regional police academies, adjunct instructor of criminal justice and coordinates several training courses for private investigation and security related matters through continuing education and technical colleges. Mr. Mitchell is a recognized, Certified Protection Professional (CPP) by the American Society for Industrial Security.